Recess by Henri Gillet from Perkins Bacon Plates 1854 (April): 5 c. Burnt Siena, wmk. pos. 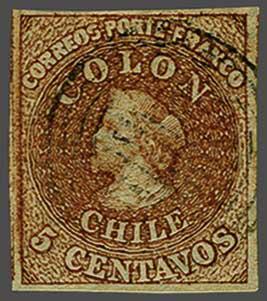 2, a used example with huge margins all round and showing portions of adjoining stamps at both left and at right, paler shade and very fine but for tiny scissor cut in margin only at top left, lightly cancelled in black. Cert. BPA (1992) Gi. 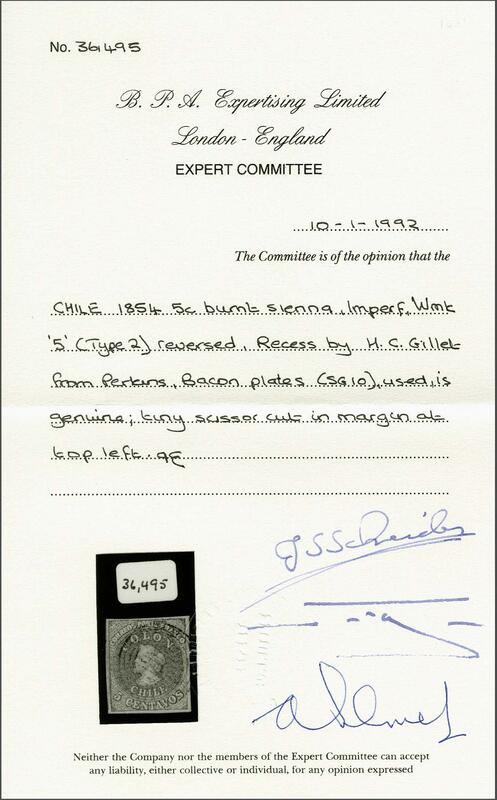 10 = £ 450/Scott = $ 300.rnProvenance: Collection Gerhard Blank, RL, Dec 1991, lot 1001.